For the first time since the Internet’s emergence, Reporters Without Borders is aware of more than 100 bloggers and cyber-dissidents being imprisoned worldwide for posting their opinions online. This figure is indicative above all of the scale of the crackdown being carried out in around ten countries. Several countries have turned online expression into a criminal offence, dashing hopes of a censorship-free Internet. Although China continued to be the leading Internet censor in 2009, Iran, Tunisia, Thailand, Saudi Arabia, Vietnam and Uzbekistan have also resorted to frequent blocking of websites and blogs and surveillance of online expression. The Turkmen Internet remains under total state control. This year, bloggers and ordinary citizens expressing themselves online have been assaulted, threatened or arrested as the popularity of social-networking and interactive websites has soared. Egyptian blogger Kareem Amer is still in jail, while the famous Burmese comedian Zarganar still has 34 years of his prison sentence to serve. 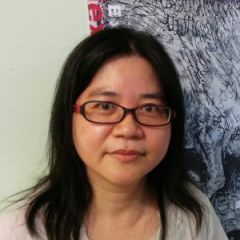 The approximately 120 victims of Internet policing also include such leading figures in the defence of online free expression as China’s Hu Jia and Liu Xiaobo and Vietnam’s Nguyen Trung and Dieu Cay. The financial crisis has joined the list of subjects likely to provoke censorship, particularly online. In South Korea, a blogger was wrongfully detained for commenting on the country’s disastrous economic situation. Around six netizens in Thailand were arrested or harassed just for making a connection between the king’s health and a fall in the Bangkok stock exchange. Censorship was slapped on the media in Dubai when it came for them to report on the country’s debt repayment problems.